“But wait!” you say. 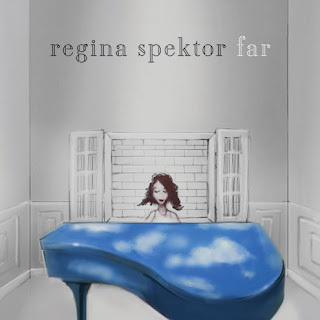 “Regina Spektor was the 2007 Album of the Summer winner for Begin To Hope.” True enough. This is the first time an artist has repeated as Album of the Summer winner, and frankly it feels all little like cheating. A little easy; a little cheap. Accordingly, I agonized over this choice for a long time. Of course, there is nothing in The (Demanding if Somewhat Idiosyncratic and Not Strictly Adhered to) Criteria for the Album of the Summer that prohibits repeat winners, and last year Jack Johnson came very close to repeating, receiving honorable mention for Sleep Through the Static. Yet an unspoken goal of the Album of the Summer Project is to stir the pot and introduce less established artists. Since her selection in 2007 (though undoubtedly not BECAUSE of her selection) Spektor has gone on to become a big star, appearing regularly on television and in increasingly large concert venues. She now has several imitators. All of this argued against picking Far, but for two reasons, I felt I could not do otherwise. First, Far is a bit lighter than Spektor's previous offerings, making it appropriate as an Album of the Summer selection. The song “Folding Chair” is both a favorite and a classic AOTS song. It even takes place on a beach. Second—and for me this was the most persuasive reason—Far has, in fact, been the 2009 Album of the Summer for the people in my life. The timing was good. Far was released on June 23, and since that time, it has been the album we have all been most consistently listening to whenever we are in the car or playing music at home. It has drawn us back time and again, and isn't that what an Album of the Summer is supposed to do? Far opens with two upbeat AOTS-ish numbers. “The Calculator” includes the lines “So we made our own computer out of macaroni pieces / and it did our thinking while we lived our lives.” The song “Eet” features a typically Spektor-ish play on the long-e sound, repeated rhythmically in the chorus. The aforementioned "Folding Chair," is perhaps the most infectious number on the album, inspiring regular bouts of involuntary singing at the grocery store (“...and the sea is just a wetter version of the skies”). The alternately haunting and impish song “Laughing With” is quite wonderful and has received much air play in a music video and in Spektor's public appearances. “Two Birds” is another cute Spektor ditty, and the driving beat of “Dance Anthem of the 80's” does, in fact, make you want to dance. (“There's a meat market down the street / where the boys and girls watch each other eat.”) I'm not sure what it is about, but the cheerily triumphant “One More Time With Feeling” wonderful. Of course there are a few somber, muted, and sad numbers on the album (e.g., “Genius Next Door”). A particular favorite is the wistful “Wallet” which tells the story of a found wallet. (“I'll take your wallet to my local Blockbuster / they'll find your number in their computer / you'll never know me, I'll never know you / but you'll be so happy when they call you up”). Although there is much more I could say, this email is already very long, and I am only halfway through. I just hope you enjoy Far as much as I have. If you buy the album, I recommend you download the iTunes version which includes three bonus tracks. “Riot Gear” is particularly good. Andrew Bird was new to me, but I love this album. A Chicagoan, Bird graduated from Northwestern University with a degree in violin performance. His songs show a strong classical and jazz influence, and his lyrics are clever and unusual. The song “Fitz and the Dizzy Spells,” is much fun and displays Bird's skills as a whistler. You will find yourself whistling it, too. I am also fond of the longing “Nomenclature,” and the song “Anonanimal,” which begins Bird plucking the strings of his violin in a long instrumental introduction. I hear a hint of Donovan (some of you are old enough to know who he is/was) in the song “Natural Disaster,” particularly in the word “fecundity.” “Privateer” is another favorite, in part because it includes the immortal lines “I don't want your life insurance / home, auto, health, flood, and fire insurance.” There is enough happiness in Noble Beast to justify an Album of the Summer pick, but it just wasn't as strong as Far. For those in the southeastern New England area, Bird will be at Lupo's Heartbreak Hotel in Providence in October. Wikipedia describes Neko Case as an “American alternative country singer-songwriter” who is known both as a solo artist and as a member of the Canadian group The New Pornographers. Much of Middle Cyclone was recorded on Case's Vermont farm in a barn she has filled with pianos found on Craigslist. Her “piano orchestra” appears on several numbers, but recording in a barn also means that random bird and frog noises appear on the album. The last track is a 30-minute field recording, “Marais La Nuit” (Marsh at Night), of frogs peeping. Middle Cyclone is a bit dark and longing in places, but Case's voice is strong and righteous. There are many nature and animal themes in songs like “Never Turn Your Back On Mother Earth” and "I'm An Animal." There are several very haunting numbers, including the first track “This Tornado Loves You” and “People Got A Lotta Nerve.” The wistful ballad “Magpie to the Morning” is a particular favorite, with the very fitting line “Said the magpie to the morning, don't let this fading summer pass you by.” Case also does a wonderful cover of Harry Nillson's sad sweet “Don't Forget Me.” And yes, Lynn, she has red hair! Thanks to LB for discovering this one. BNL is precisely the kind of clever, fun-loving, rollicking-live-show group that epitomizes the Album Of The Summer concept, and the group's 1992 debut album has been a favorite in my family for years. With the news that Steven Page, front man and half of the Page-Robertson songwriting team, left the BNL in February, it seemed fitting to reach back and recognize the group and this great album. Gordon includes the classics “If I Had A Million Dollars,” “Hello City,” “Enid,” “The King of Bedside Manor,” and “Brian Wilson,” as well as many other great songs. 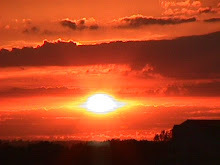 On the Album of the Summer Blog, you will find two great videos of songs from the album.